The Beady Eye frontman and his former aide are said to have been secretly involved even before his marriage to Nicole Appleton fell apart in July over claims he had fathered a love child with US journalist Liza Ghorbani. A friend of Debbie told The Sun newspaper: "Liam saw her as the one person he could trust with anything. 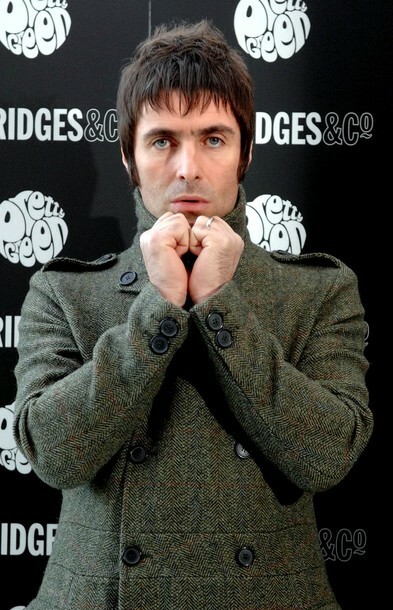 "Some of us think she's gone mad and have pointed out Liam appears to have had four kids with four different women. But Debbie is besotted and is convinced they have a future together." Debbie was fired last month for becoming "too close" to the 40-year-old singer when the bikini-clad assistant was pictured comforting him by the pool in Ibiza the day the news broke. The 31-year-old brunette has now reportedly dumped her boyfriend and is selling their East London home because she believes Liam is the "love of her life". The friend said: "She has thrown her job, boyfriend and former life away to be with Liam. He's been introduced to her friends as her new boyfriend. "They love partying together and he was attracted to how he could be so honest with her. Liam saw her as his right hand woman -- the one person he could trust with anything. "But some of us are very worried about her. Liam's personal life is in such a mess at the moment and it is hard to believe she can trust him." Liam allegedly hasn't spoken to his wife Nicole since the love child scandal became public, with the All Saints singer jetting off to Florida to keep a low profile. The rocker is being sued for £2 million in child support fees by journalist Liza, who claims he is the father of her seven-month-old daughter Gemma and says they embarked upon a brief affair when she interviewed him in 2010.